James Cameron worked on "Avatar" for over a decade. That makes sense. It takes a long time to create the technology needed and to completely RIP OFF Disney's "Pocahontas." 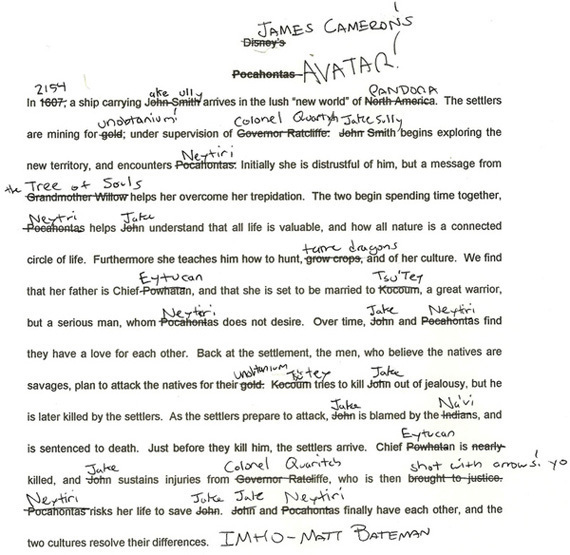 Sure moves borrow from movies all the time, but c'mon James, "Avatar" might as well be "Pocahontas In Space."